Are you ready to be a defining Senior Java Developer in a genuinely innovative and collaborative Wealth Management team? Do you wish to join a truly agile environment, with a history of adapting creatively to change? Here, employees come from all over the world and are never afraid to ask for advice and share ideas. With a strong interest in the latest technology trends and they can be used to remain at the top of their game. Gutsy and always challenging the status quo -"enough" is never enough. Are you ready to help craft an ambitious technology transformation plan? With opportunities to work both internationally and across technologies, you will be a key influence on technical decision-making. Right now, they are moving to micro-services architecture, developing robust code with the power to transform the industry for years to come. On top of delivering clean, scalable code, you should be ready to come in as a mentor and advocate of modern development best practices (TDD, BDD, CI/CD, unit testing and more....). You have developed REST micro-services. 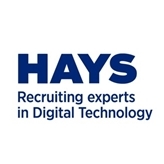 You have experience with Continuous Integration and/or automated testing frameworks. We ensure you feel invested in, with plenty of opportunities to grow your knowledge, skills and capabilities. Fostering a culture of inclusivity and respect reflected in a proven history of attracting a diverse talent pool and dedication to equal opportunities hiring. You will be working in one of London's most technologically advanced offices with additional features including onsite restaurants and bar, private gym as well as our own in-house Doctors surgery and Dental Practice. On top of this, you can expect to receive a competitive compensation package including pension contributions, annual performance related bonuses and more.